I returned to the homeland after 34 years. My return was filled with anticipation, fear, and so many emotions that I knew that I’d have to throw myself into it. I went to medical school in Afghanistan , the first woman to come to the United States for medical training. My medical background in Afghanistan was intense and primal, as my training in the United States was both sophisticated and complete. I had no idea how to reconcile what I had been to what I am today. 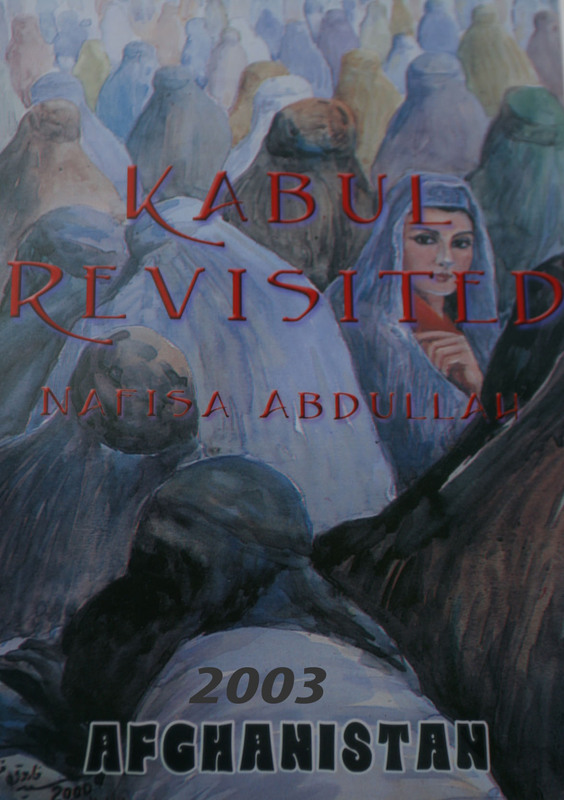 A one-day trip in Kabul had a world of stories in it. It was an odyssey. The sadness that these people have gone through is not so easy to describe in an ordinary way. I will walk you through it; only if you promise me you will listen. That is all I want from you, just listen, and for the rest you decide what to do. At this point in time since I am a physician and will share with you a tiny corner of a hospital where I worked and shared my knowledge and experience with women physicians. The hospital is called Rabia Balkhi, located in the busy section of downtown Kabul . I spent most of my time in the women’s section in the department of Obstetrics and Gynecology, made rounds in the ward, spent time with obstetricians on duty, shared experiences and gave advice, and performed some gynecological surgery. In this hospital the delivery rate was 55 to 80 infants per day. Yes, giving birth can sometimes be simple and will just happen anywhere in the bed, or on the floor, without the slightest attention from a doctor, nurse or mid-wife. Since a majority of these women have no prenatal care whatsoever, there will be some undiagnosed complications, high-risk pregnancy among them, and sometimes hours and days passed before they were evaluated. There were times that 20 to 30 women were in active labor and gave birth at the same time with very little care, some giving birth on the cool and naked steel of a delivery room table, of which only a few of those tables were available. Some with sad and wizened faces lay on the cement floor; sometimes even 2 to 3 women lay altogether on a flat cushion, wrapped with their shawls. Some women even brought their 1 or 2-year-old children with them to the hospital, since there was no one at home to take care of the children, and the women would go through labor and birth in the same bed with them in the hospital. These were just the lucky ones. Most deliveries still occur at home as the women were not able to get to the hospital or may not have had permission by a male family member to go out. The vast majority of Afghan women receive no prenatal care. Afghanistan has been reported to have a high maternal mortality rate of 1700 per 100,000 and infant mortality rate of 165 per 10,000. In the hospital that I spent some time in, five women died. In this short period, the causes of these maternal deaths were: post-partum hemorrhage and lack of availability of blood transfusion, ruptured uterus, many cases of cephalic pelvis disproportion and severe preeclampsia. Severe preeclampsia was a relatively common finding. The very sad part to me was that basic precautions and simple protocols could have prevented some of these catastrophic problems and deaths. But this was (and is) not in place at this time inAfghanistan . One morning a critically ill patient with severe preeclampsia was presented by a physician on call. The patient was in the hospital for 3 days with this severe illness; no complete physical exam, no lab tests, her blood pressure was checked only 3 to 4 times (during these three days). She was lying on the bed with a severely puffy face, gazing at the ceiling with a bottle of IV fluid, which was going nowhere, with a terribly swollen arm and a Foley catheter containing about 100 ccs of coffee-colored urine. Worried relatives were sitting around her, deeply concerned about her condition. They kept giving her some apple juice to help her thirst. She was 20 years old and she died two days later. Her 29-week-old infant survived. If this had been handled with care and a simple protocol for the treatment of preeclampsia from the time of her admission, her death would have prevented, as it is for so many other deaths. I can say that pregnancy, giving birth and motherhood is a big risk in Afghanistan at this time. Many women that I had the opportunity to talk to seemed to live in the constant stages of pregnancy, giving birth from age 15 to almost 44. In personal conversations with the women, I found it is not so unusual for them to have 10 to 14 children, with no knowledge of contraception. Even after talking to physicians, the women were not well aware of the many methods of contraception. I believe there is an emergent need for family planning in Afghanistan for many reasons. In the operating room it is not unusual that during a major operation, your scrub nurse will tell you “I ‘m sorry there are no more sutures.” In this hospital, patients had to bring sutures, blood and antibiotics for their surgeries. If there were no more sutures in the middle of surgery the patient’s relatives would be sent to buy more sutures. In another case involving a hysterectomy for a ruptured uterus on a full-term pregnancy, the operating room suddenly became dark. “It is a black out.” Losing electricity in Kabul for several hours is not so unusual; with no generator in the hospital, surgery was performed under candlelight. This is not a story told from some far away time, I witnessed the experience and it happened when I was in this hospital. There were many unusual cases, perhaps unusual for you and I, that were a routine way of living for these courageous and hard-working physicians. I found these physicians capable people, but unfortunately their medical knowledge and academic information were quite substandard due to the continued disturbance of education. I found them eager to learn; their personal and professional lives full of so many tragedies. They were very hard working people. As you can see, I did not go to some dozen hospitals located in Kabul , I mainly wanted to spend time in this women’s hospital and in my area of specialty. I was told this was the only maternal hospital in Kabul , that the other maternal hospital was under construction. I would like to mention that this hospital, Rabia Balkhi, was visited six months ago by the U.S. Department of Health and Human Services, and was promised to become one of the most modern women and children’s hospital, to receive assistance with modern technology and medical personnel, after six months. April 21st was an exciting and big day for Rabia Balkhi hospital and it’s physicians. Officials from Afghanistan’s Department Public Health and the U.S. embassy in Kabul , the U.S. Department of Health and Human Services and many other dignitaries arrived for the opening ceremony, ribbon-cutting and tour of the hospital. I attended the opening ceremony. It was a very nice day. Two days later I worked in the same exact hospital my observations and experiences were already discussed. I only wish that we all had attended on April 21st in Rabia Balkhi hospital to keep our obligations and promises, since we all know that only cutting a ribbon and being visited by dignitaries is not the solution for the health problems of the Afghan people. The other area of my visit was the medical school from which I was graduated in 1968. I visited my old classes, spent a great deal of time with medical students, male and female. I was greeted warmly, even with the harsh realities and suffering of the medical staff and students for all these years. I found them with the strong desire to excel and learn. They wanted me to stay with them and continuously asked me when I would be back. Some offered that I could stay with them and visit their homes and families. I also spent several hours with the Dean of the medical school, visited some of the classes and laboratories, which were under construction, the old Ali Abad hospital, the “teaching hospital”, which was completely destroyed during the war. I was very happy to see the medical library, which was originally supported financially by Loma Linda University along with medical books donated to the library by the AMAA. I also had a lengthy conversation with the Minister of Higher Education. He expressed strong feelings about elevating the standard of education of the medical school and was very supportive of continuing medical education and improving the clinical skills and knowledge of practicing physicians. My visit with the Minister of Public Health was quite brief due to her travel schedule, but I had many formal and informal meetings with the General Director of Planning and Policy of the Ministry of Public Health, who listened to my concerns in regard to the present situation of Rabia Balkhi hospital and general health care systems in various categories, such as nursing, midwives, with particular emphasis on the needs of women and children in rural areas. Also, I participated in the signing agreement between Loma Linda University , the Afghan Medical Association of America, the Ministry of Higher Education, the Ministry of Public Health, and the Kabul Medical School for the improvement of health care, training of physicians and improvement of medical school education. The details of this agreement can be found on the home page of AMAA.This was a profoundly fulfilling and memorable trip. You and I together, from here or there can make a significant difference in the lives, health, and education of these people and the time is now.